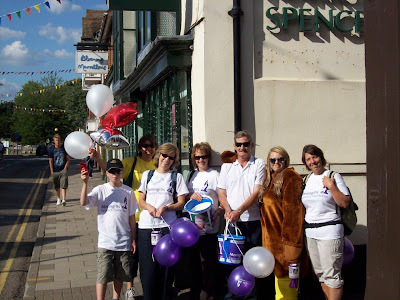 Marks & Spencer Simply Foods in Marlow have raised £784 in total for Harry’s fund at the Meningitis Research Foundation. A sponsored walk raised £262, sponsorship raised £180 in and the remainder was raised in store. Additionally M&S have added a further £170. The M&S team are pictured on the sponsored walk in June - pictured from left to right Cameron, Jill, Wanda, Doug, Clowie and Yvonne.